Each year, the STHLM TECH FEST brings together influencers working within the startup ecosystem. 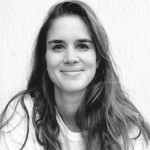 REFUNITE’s co-founder Christopher Mikkelsen was invited to be part of this global conversation and inspire solutions to the first displacement crisis of the digital age. The first week of September, Ericsson, Telia, and EQT ventures, hosted the STHLM TECH FEST in Stockholm. Each year, the STHLM TECH FEST brings together influencers working within the startup ecosystem: technology entrepreneurs, startup founders, designers, investors, and special guests from over twenty countries. 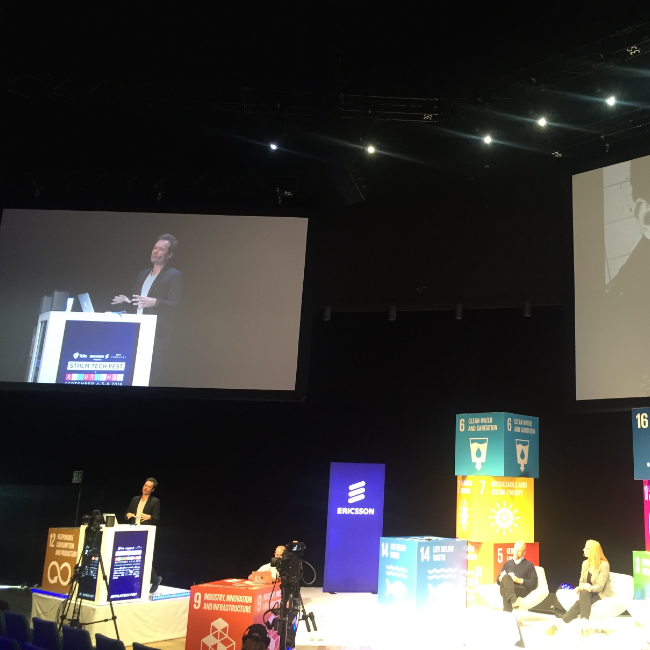 This year, and for the first time, the STHLM TECH FEST had a special day focusing on “SOLUTIONS” where over 6,000 entrepreneurs, investors, and policymakers met to discuss and inspire new solutions to the UN Global Goals for 2030. The UN Global Goals were jointly agreed upon by 193 nations in September 2015. 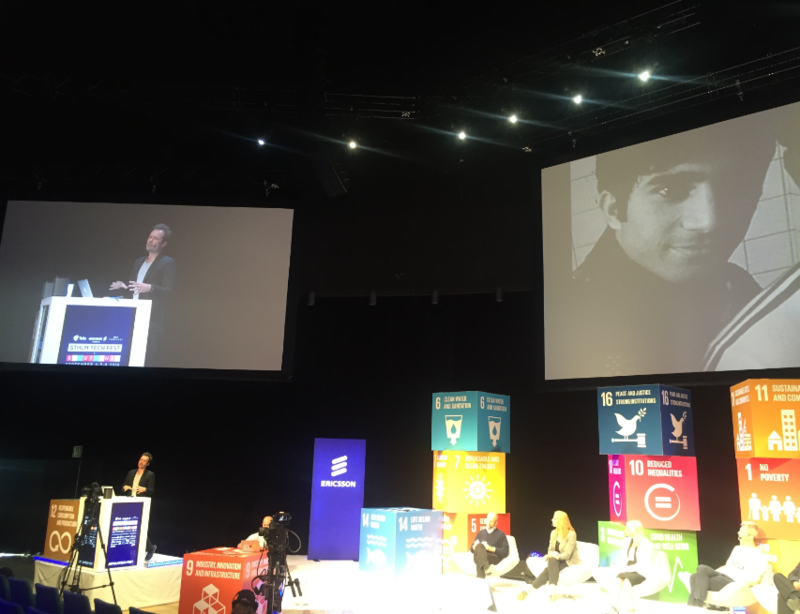 One year down the line, thousands of changemakers have joined the STHLM TECH FEST +SOLUTIONS to showcase their own contributions to the 2030 Agenda. From no poverty, to zero hunger, to sustainable cities and communities, the UN Global Goals cover a wide spectrum of social issues and hold the ambitious promise of a better, more just world. REFUNITE’s co-founder Christopher Mikkelsen was invited to be part of this global conversation and inspire solutions to the first displacement crisis of the digital age. Christopher Mikkelsen shared REFUNITE’s powerful vision to reconnect every separated family on this planet through technology, and to reach the over 65.3 million people displaced by conflict, persecution or disaster who may be in need for family tracing services.